Do you still need to do your tax return? DO YOU STILL NEED TO DO YOUR TAX RETURN FOR 2013? Individual’s income tax returns were due on 31 October 2013 and taxpayers who lodge their returns late could face interest and late lodgement penalties. If you use a tax agent to prepare and lodge your return, depending on your circumstances, you may be eligible to lodge your return at a later date (eg 15 May 2014 or 5 June 2014) and not risk facing interest and late lodgement penalties. Listed below are a variety of issues that you might need to be aware of when preparing your return or after you have lodged it. Increase in electronic refunds – the ATO has indicated there has been a marked increase in refunds being received electronically by taxpayers during Tax Time 2013. From 1 July 2013, individual taxpayers were required to include bank account details to obtain their refund via EFT. To avoid delay in receiving your refund if you are due one, make sure you include your bank account details on your tax return. Centrelink clients to lodge by 30 June 2014 – the ATO has advised that if you are intending to lodge a lump sum Family Tax Benefit, Child Care Benefit or Single Income Family Supplement (SIFS) claim for the 2012-13 financial year, you must do so by 30 June 2014. This is due to changes to the claim lodgement period administered by the Department of Human Services. Also, if you received or expect to receive Family Tax Benefit, Child Care Benefit and/or SIFS for the 2012-13 financial year, you must lodge your income tax return by 30 June 2014 to receive your benefits. Warning over income tax fraud schemes – there have been some recent tax fraud schemes occurring including schemes arranged by an organised crime syndicate that has allegedly been stealing information and creating fictitious payment summaries to obtain refunds fraudulently. There has also been a huge increase in phishing scams. The ATO warns taxpayers to protect their personal and financial details. You should keep a wary eye out for these schemes and ensure you don’t get caught up in one. Completing private health insurance policy details on your return – the ATO has included information on its website about how to complete your private health insurance policy details on your return which can be found at the ATO website. Of course, your tax agent is well equipped to be able to assist you with completing this part of your return. Beneficiary Tax Offset (BTO) for the 2012 income year. The ATO has since put a fix in place. However, if you are claiming one of these tax offsets, it may be worth keeping this issue in mind in case you have also been affected and this was not properly fixed for your account. Net medical expenses tax offset phase out – The net medical expenses tax offset phase out is planned to begin on 1 July 2013. More information about the changes can be found on the ATO website. At the time of writing, the Bill enacting this change had passed both Houses of Parliament but had not yet become law. Taxpayers and their agents need to ensure that the IT5 and IT6 income tests labels are completed correctly. General business losses incorrectly attributed to the “Financial investments” sub-label rather than “Other”. Low value pool deductions incorrectly attributed to the “Financial investments” sub-label rather than “Other”. Getting these labels wrong could impact how your “adjusted taxable income” is calculated for the purpose of working out whether you might be entitled to certain tax offsets or government support payments. It is best to check with your registered tax agent to confirm you are putting the right information in the right part of your return. 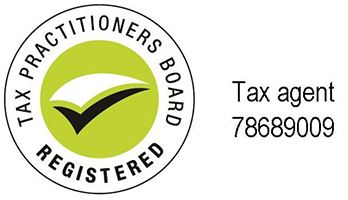 When completing this part of your return, verify that you have completed these labels correctly with your tax agent. The end of the 2014 income tax year is fast approaching and before you know it, 30 June 2014 will be upon you. Now is the time to think about what you might like to do for the rest of the 2014 financial year as well as start to think about planning for 2015. If eligible for the net medical expenses tax offset, are you likely to reach the threshold for this year? Are there any tax deductible donations you have been putting off that you might want to make before 30 June 2014? If you are eligible, to qualify for the government’s superannuation co-contribution scheme, contributions must be made by 30 June (and there are other tests that also need to be satisfied). Are you near retirement? If so, is there discretionary income that you might want to consider deferring? Your tax agent will be able to help you answer all these questions and more that you might have about your own individual situation. In December 2013, the Assistant Treasurer, Senator Arthur Sinodinos, announced the outcome of consultations over the backlog of 92 announced but unlegislated tax and superannuation measures. The Government previously announced that 18 measures would proceed, three would be amended and seven would not go ahead including for the former government’s proposal that would have impacted on car fringe benefits and the cap on self-education expenses. Of the 64 measures that were considered further, 16 will proceed and 48 measures will not proceed. Details are set out in the table attached to the Assistant Treasurer’s media release. Capital gains tax treatment of certain compensation payments and insurance policies. Applying a reverse charge for the supply of going concerns and farmland for GST. Capital gains tax: refinements to the law for deceased estates (this would have allowed testamentary trusts to distribute the assets of a deceased without CGT implications). It is intended that most of these measures pass into law during 2014. Change to the low income superannuation contribution as it will no longer be available. There are Bills before Parliament containing the repeal of the carbon and minerals rent resource tax and the measures listed above at the time of writing. It is anticipated that these changes will pass through Parliament shortly. Businesses in the building and construction industry are required to report certain information concerning contractors including their name, ABN, address, total amount paid to them for the year and the total amount of the GST included in that amount. help businesses to comply with their taxable payments annual reporting obligations. follow up with businesses who have advised the ATO that they are not required to report (where ATO records indicate they have a reporting requirement). The businesses are being contacted directly even if they are clients of tax agents. As such, this is a big focus area for the ATO. If you work as a contractor in the building and construction industry, payments that have been made to you by another business are likely to be reported to the ATO through this system. If you are a contractor and have any concerns about these reports, speak to your tax agent who will be able to assist you with any queries you may have. Are you about to purchase some property? If so, you should know whether the vendor is registered for GST as this may affect your transaction. The ATO has advised that it has recently disallowed claims for input tax credits related to the purchase of commercial real property. In these cases, the ATO has noticed that the taxpayers and their agents failed to check that the vendor was registered for GST at the time of settlement. There is information on the ATO’s website containing advice and information about what to check for. However, the best source of advice will be your tax adviser who can help ensure you obtain necessary information about the vendor’s GST status prior to your property transaction. Are you employed by a start-up company? Have you been issued shares or options in an employee share or option scheme? If so, you should be aware that Treasury has recently been consulting on these rules with the tax profession. This consultation may result in some changes to the rules that apply to the taxation of employee shares schemes. However, whether this occurs will depend on the outcome of this consultation. On 23 October 2013, the ATO issued Taxation Determination TD 2013/20 entitled "Fringe benefits tax: when an employer reimburses an amount of expenditure incurred by an employee to a third party, under a salary sacrifice (or similar) arrangement with that employee where that expenditure is notionally subject to Division 35 of ITAA 1997, is the amount included under s 35-10(2E) increased when applying the ‘otherwise deductible rule’ in s 24 of the Fringe Benefits Tax Assessment Act 1986?" The answer to the question posed is "Yes. The amount included under the ‘income requirement’ in subsection 35-10(2E) of the Income Tax Assessment Act 1997 (ITAA 1997) when applying the ‘otherwise deductible rule’ in s 24 of the Fringe Benefits Tax Assessment Act 1986 (FBTAA) is increased by the amount of the reimbursement. If you have salary sacrifice arrangements with your employer, you may wish to speak to your tax adviser about whether this Tax Determination has any impact on your particular circumstances. Do you earn foreign employment income? If so, you should note that on 27 November 2013, the ATO issued Taxation Ruling TR 2013/7 entitled "Income tax: foreign employment income: interpretation of s 23AG(1AA) of ITAA 1936." who is a ‘member’ of a disciplined force within the meaning of the relevant provisions. The Ruling applies to Australian resident individuals serving in a foreign country as an employee or office holder. The Ruling does not consider certain terms in the provisions and does not deal with the period of foreign service. There is other guidance on these issues. If you derive income from foreign employment, you may wish to speak to your tax adviser about whether this ruling has any impact on your particular circumstances. In a media release issued on 8 December 2013, the Treasurer, Joe Hockey, announced that the Government will introduce legislation to stop further $900 cheques from being issued to taxpayers who were eligible for one and may not yet have received one 4 years after the Global Financial Crisis. The ATO has advised that excess super concessional contributions made from 1 July 2013 will be included in an individual’s assessable income and taxed at their marginal tax rate. As part of the assessment process clients will receive a non-refundable tax offset of 15% of their excess concessional contributions along with an additional excess concessional contribution charge. From 1 January 2014, employers need to make superannuation contributions to a fund that offers a MySuper product for any employee who does not select a preferred fund. If an employer has not heard from their super fund about their MySuper arrangements, they should contact the fund now. Employees should speak to their employer about this or their super fund if they are unsure what arrangements their super fund has put in place to meet the MySuper requirements. Nurses, midwives and direct carers – claiming work-related expenses – there is information on the ATO website for work-related expenses that can be claimed by nurses, midwives and direct carers. Assets in the professional photography services industry ­ – the ATO is reviewing the assets used in the professional photography services industry as a business defined within ANZSIC code 69910, with a view to making new effective-life determinations. When finalised, they will be added them to the effective life schedule that will apply to new assets purchased or installed on or after 1 July 2015. Requesting copies of tax documents from the ATO – The ATO has advised that a taxpayer or their authorised representative can use "Copies of tax documents request – individuals and authorised representatives" form to request copies of tax returns, payment summaries and notices of assessment.